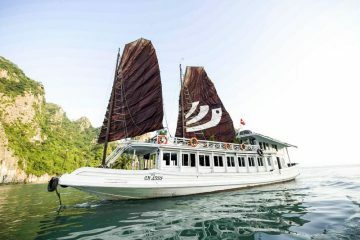 08:00AM: our tour guide and driver will pick up you at hotel transfer to Halong Bay. 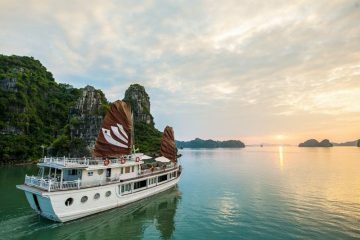 07.00: Coffee and tea will be served 08.00: Continue cruising 08h15: Visit splendid Sung Sot Cave 09h00: Check out and enjoy a fantastic cruise on the bay, passing Dinh Huong Island, fishing villages, Ga Choi Island, Dog Island and Sail Island. 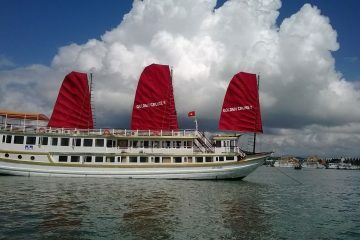 09.30: Buffet brunch (breakfast/lunch) while cruising back through Halong Bay to the pier 11h30: Arrive at the pier. Time to say goodbye to the crew. 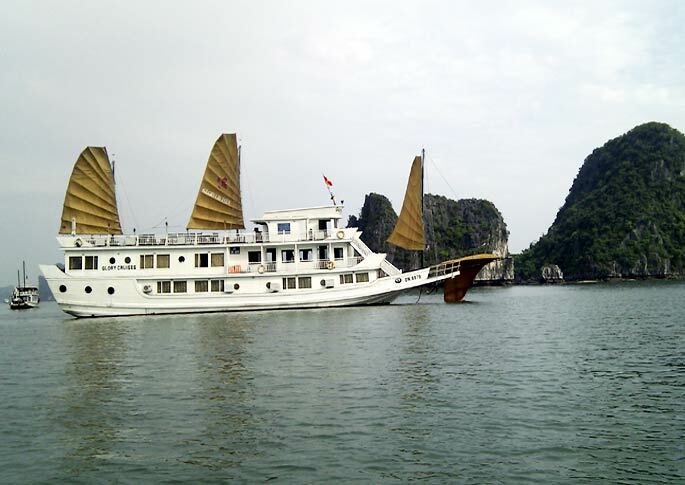 12.00: Return from Halong to Hanoi. 14h00: Stop over in Dong Trieu town to visit a ceramThe day starts early onboard with Tai Chi session on the sundeck. Tai chi also called Tai chi chuan, combines deep breathing and relaxation with slow and gentle movements. Disembark to Tuan Chau Wharf. Tour guide and driver pick up you transfer back to Hanoi. End trip.